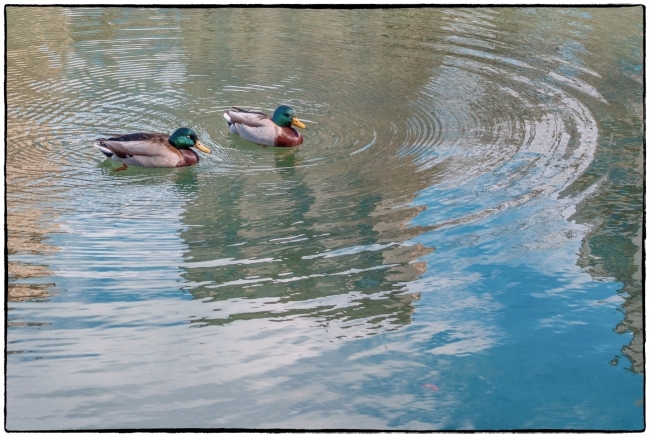 Two mallards swimming on Conservatory Water in Central Park, New York City. I’ve always loved the brightly colored mallards, and I also liked the ripples. Formally a naturally landscaped water lily pond, Conservatory Water was subsequently converted into a model boat pond. When we arrived there were a few boats, but when I took this picture after finishing lunch the pond was devoid of maritime traffic (i.e. there were no boats on it).